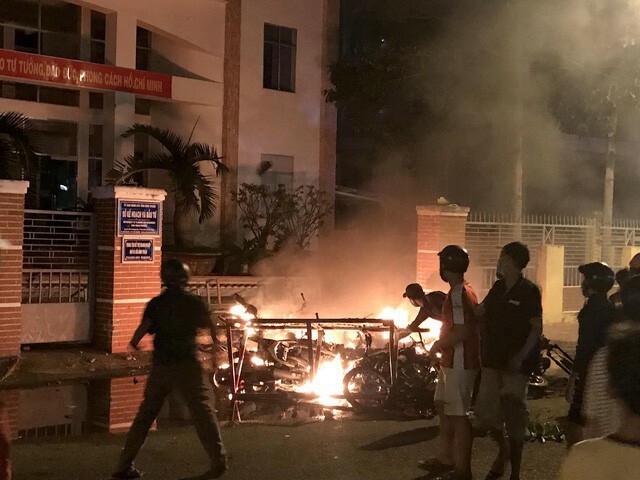 The recent introduction of the Law on Special Administrative-Economic Units has proved to be a good incident to test the patriotism of Vietnamese people. In this article let's not argue the legitimacy of the bill because it had been clearly discussed and explained in many newspapers and on social websites. Let's just discuss the way people have been doing to express their opinions about it. It cannot be denied that most people's words or actions came from their love for the country, their sense of responsibility for the future of the country which led to their vigilance over any possible threats of losing their land. Talking to the media on June 7 on the sidelines of the ongoing fifth session of the 14th National Assembly, PM Nguyen Xuan Phuc had said that he had seen a great love for the country from so many Vietnamese people living in or outside the country who are eagerly discussing or giving their opinions about this draft law. "With this kind of spirit, I don’t think we need ever fear losing our country," Phuc said. The PM, however, stressed the need to create a good business and investment environment for the country's development while ensuring the nation's freedom and sovereignty. The proposal to the National Assembly to postpone the vote on the draft law had also shown that the government had listened to the voices and opinions from the public as PM Phuc promised "to listen to opinions and aspirations of nationwide compatriots" when he took the office. Vietnamese people from in and outside the country who work in different fields including NA deputies, economic experts, scientists, teachers, and many others have eagerly shared their discussions, ideas, and opinions about the bill on newspapers and social networks. This showed their sound knowledge, their character and their strong sense of responsibility. This showed positive signs in the development of our country. However, there have been some people who decided to show their opposition by organising illegal protests which involved violence and damage to state assets. These actions had badly affected the relationship between citizens and local authorities and between citizens themselves and so should be condemned. These illegal activities should be investigated and the organisers should be strictly punished.